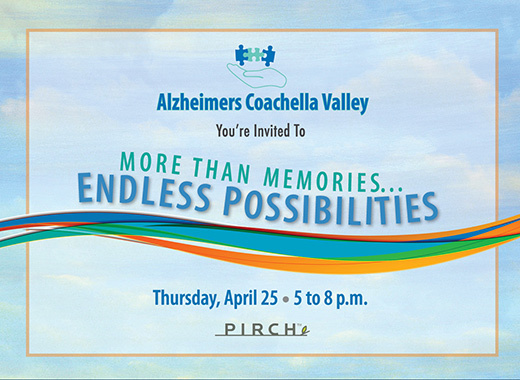 Join Alzheimers Coachella Valley (ACV) in celebrating our second annual fundraiser, “More than Memories…Endless Possibilities,” hosted by Jim Murdock. 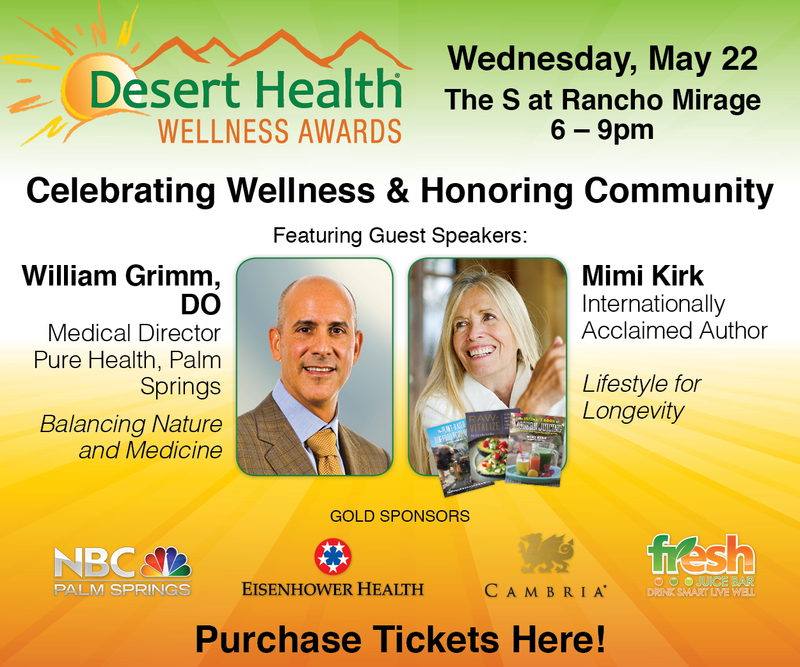 Enjoy delicious hors d’oeuvres, beer, wine and a specialty cocktail created by PIRCH mixologists while you peruse our fabulous silent and live auction items that help support our innovative programs. Reservations may be made online at www.cvalzheimers.org, by calling (760) 776-3100, or mail your check payable to Alzheimers Coachella Valley to 42600 Cook Street, Ste. 134, Palm Desert, CA 92211.